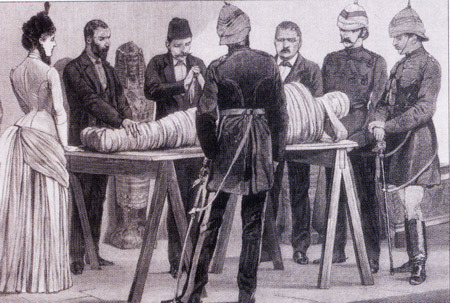 A frequent souvenir of wealthy travellers, the mummified cadavers of ancient Egyptians were not confined merely to museums but became an increasingly popular feature of salons and lecture theatres throughout London and, indeed, the Western world during the mid-nineteenth century. The practice of publicly 'unrolling' mummies has been viewed as both a ghoulish spectacle for affluent sensation seekers and as an early scientific approach to the emerging discipline of Egyptology. This lecture places the practice within its social, cultural, and historical contexts.